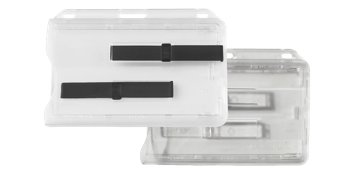 Protect and store all of you RIFD and ID cards securely in one place with a multi-card holder. They are rigid and durable ensuring ID cards are protected from being damaged. Choose from horizontal open face or vertical single card holders. Store all of your cards securely in one place with a multi-card holder.